To Day Sunday 30th March Fine Gael launched their Local Election Campaign for the Greystones area of Wicklow County Council. 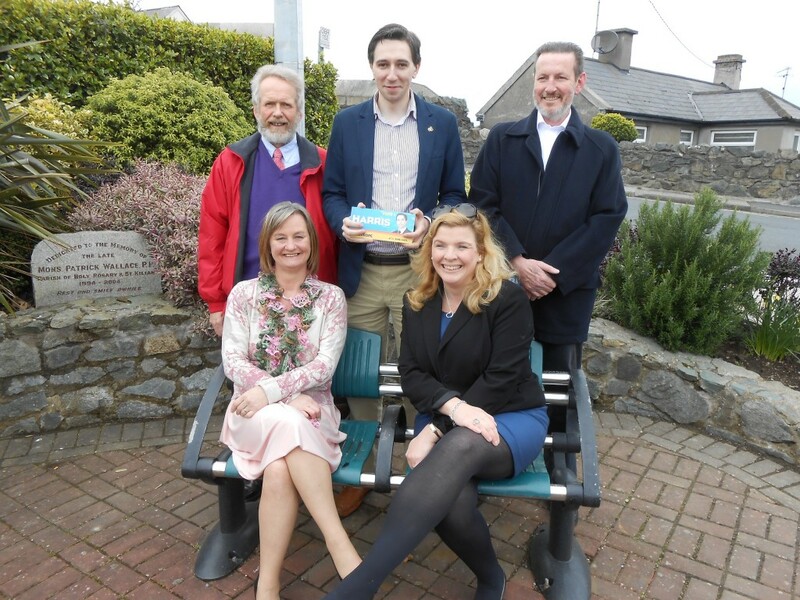 The Launch took place in conjunction with the Euro-Election campaign of Wicklow Deputy Simon Harris. In the reorganised Wicklow County Council the new Municipal area of Greystones which incorporates the towns and villages of Kilcoole, Newcastle, Greystones. Delgany, Killincarrig and Killadrennan will have six seats. Fine Gael is putting forward a strong team of experience and community activists for this area. Existing councillors Derek Mitchell and Grainne McLoughlin are being joined by Liz Dillon and David O’Reilly. All four have strong history and record of hard work, experience, and commitment to our local communities. Long serving Councillor George Jones retiring after 35 years on Wicklow County Council added “with the demise of Greystones Town Council and changes to Wicklow County Council it is so important that this area elects a strong team to fully represent and work hard with energy and enthusiasm for improvements to the towns and villages of this area. All four candidates Liz Dillon, Grainne McLoughlin, Derek Mitchell and David O’Reilly have a strong track record of leadership, hard work, integrity and vision to achieve maximum results for our communities –Working together -They can do more.